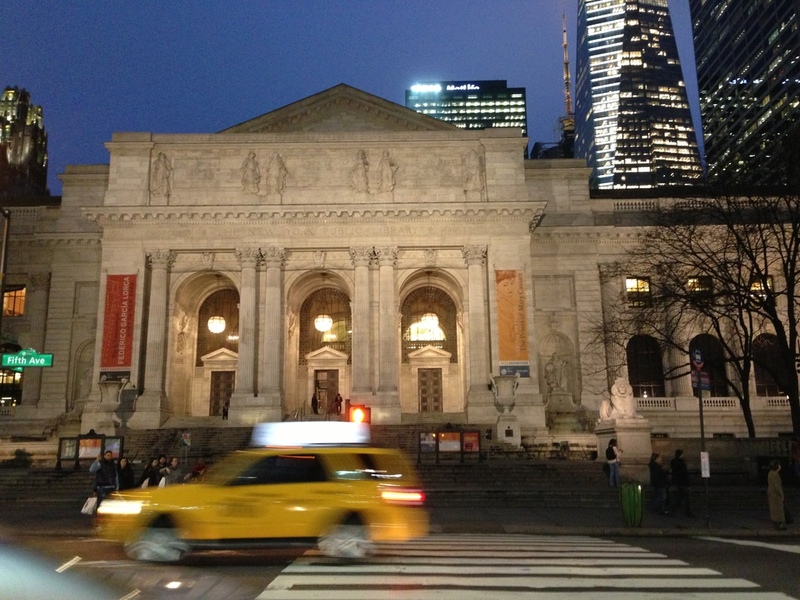 I’ve been up to the New York Public Library (1921) so many times. It’s my unofficial meeting place when I have friends in town, who, for whatever bizzare reason, choose to stay in Times Square. (I refuse to go there unless absolutely necessary.) I have them meet me on the steps of the library, which is a couple blocks over from the main Times Square intersection of 42nd and Broadway. The library is also near the tail end of the Fifth Avenue shopping strip, if you start at 57th and Fifth (by Louis Vuitton and Tiffany), so the steps are also my unofficial rest stop after a long day that I can’t ever complain about. After 15 years in NYC, I never thought to go inside—until I met a tour guide at the Waldorf Astoria. I do a lot of building tours, for kicks. Most places do a good job of hiring docents that are well-studied and personable. But every once in awhile, I end up with one who is so clearly thrilled about his/her job that you want to know more about what they know because they make everything sound so fascinating. That was my guide at the Waldorf, who mentioned that she was also a guide at the New York Public Library. I was near the library in November to pick up my passport for Brazil and figured I’d swing by to see what my guide was also so fascinated with. I walked up the marble steps into the vast lobby and my mouth dropped. It’s… gorgeous. No wonder “Carrie” picked it as the site for her first SATC wedding. Once I stopped staring, I wandered around through the hallways (traveller tip: always look up), then thru an (free) exhibit on photography, then made my way upstairs to the reading rooms. The famed Rose Room was off-limits as its under renovation, but the second floor lobby with its ceiling murals more than made up for my (mild) disappointment. NYPL holds 15 million items “from novels to ancient Japanese scrolls”, and also randomly, the original Winnie the Pooh bears. If you don’t make it by for the books or displays or exhibits, go for the sheer beauty of the building.